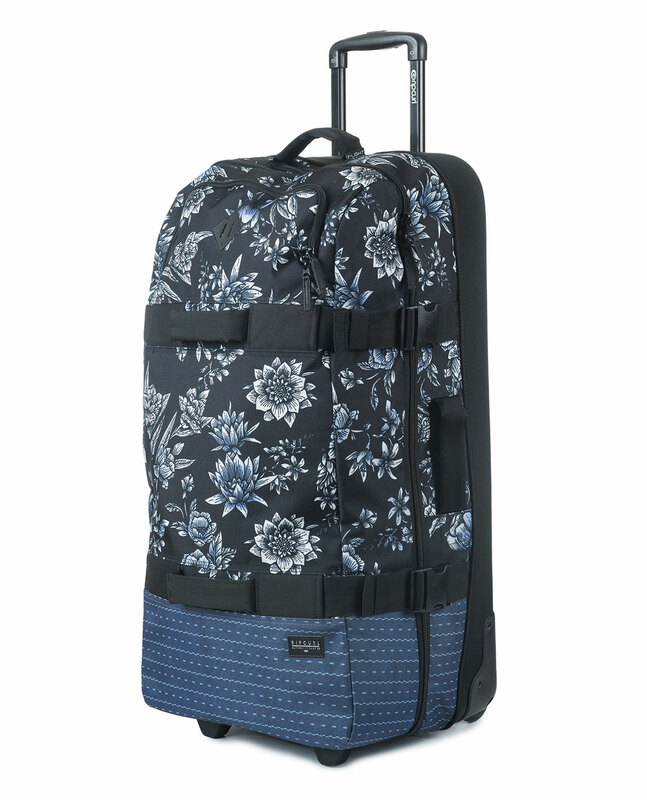 The ultimate in lightweight travel luggage, offering increased protection whilst remaining flexible & durable. A 100 liters travel bag with an hidden trolley system, a retractable handle, two mesh enclosed compartments, a zip pocket on the front, compression straps in the inside bottom compartment, lockable zips, external compression straps and inline skate wheels. H79 x L42 x D31cm.